Jacob Reeson is known within Benchmark’s offices as a young gun, with plenty of business experience (for his age), and lots of common-sense. He has demonstrated expertise in negotiations skills, and being a 100% performance based broker. He has the determination to make his future in this profession. Specialising in the sale of service stations across Australia, Jacob has direct relationships with the big name oil companies that are key to getting the business/property the maximum exposure and best outcome. 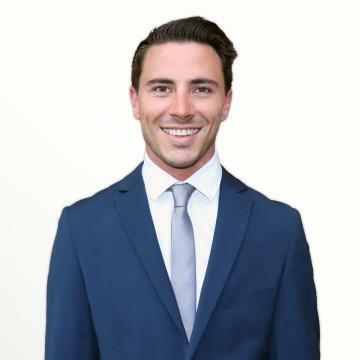 Through his time spent at Benchmark Business Sales, Jacob has dealt with Freehold Sites to Commission Agencies, New & Existing Leases and Franchises – BP, Viva/Shell, Caltex, United, Puma, Metro, Liberty and many more Independents. Jacob’s exceptional customer service skills and charismatic personality, coupled with his hardworking attitude, will ensure your business will be sold as quickly and efficiently as possible with a ‘leave the rubbish at the door’ approach – whilst still obtaining the best possible price. Jacob regularly seeks opportunities to undertake further training through registered and non-work related opportunities. Through his life he has taken on a variety of professions, usually multiple at a time, providing him with a broad knowledge and a keen mind. He holds a Real Estate License and is a member of the REIQ, helping him stay up to date with the ever-changing profession of business broking. When Jacob is away from work he enjoys travelling; whether it is an hour away or the other side of the world, photography and surfing. Contact Jacob Reeson to sell your business today. I challenge you to find a better return on a prime freehold service station property in one of the best-known holiday destinations in Queensland. Security of a long lease to oil company Metro Petroleum – Mobil fuel supply. Tenanted property includes additional building space – Tyrepower and a long-established mechanical workshop. The proposed Freehold Investment Property is situated on a corner of the main arterial road with over 50m of street frontage. Service Station – Metro Petroleum. This is a rare opportunity to pick up two sites in the one town, reducing your competition. Currently run under management by a multi-site operator, both sites have shown a strong trading history and could provide a great return for a new working owner. Located in central QLD, West of Roma the two sites cover all basis; large diesel truck sales, small light vehicles within the township, convenience items and roadhouse style food offering. Fuel Volume: Approx. Site 1 – Avg. 266,500L p/month. Situated just outside Townsville, QLD on the Bruce Hwy. Travellers from all over head towards this iconic tourist venue. This popular location continues to grow as a stopover for all travellers on the Bruce Highway. The slip lane and service lane allow heavy and light vehicles to access and exit the site with ease. What a perfect opportunity to use the reputable well-known business and earn holding income, whilst you develop the site. Key Details: - minimal to no competition. Ideally located on a busy highway leading through a regional town West of the Sunshine Coast. The current owner has concept plans to maximise the use of the land and taps into the passing diesel trade whilst servicing light vehicles via separate canopies. Spread across a corner block of over 3,500sqm, this site provides strong highway visual and traffic flow to keep vehicles moving without impediment. Price: $900,000.00 + GST Service Station Specialist Business Broker: Jacob Reeson. Located on a main arterial road just off the M1, you will find an opportunity with several development options and established income streams. Potential development opportunities could include; Service Station; Veterinary Clinic; Aged Care; Community Centre; Church; The development site currently holds commercial and residential property on a 1.77ha block with 120m of road frontage and visual from both lanes of traffic. Highlights: Total investment $3,000,000 WIWO Exclusive Agent. Freehold BP Service Station + Vacant Workshop – Northwest Sunshine Coast. Selling for property value alone – Business will be included as a package deal – No financials or volumes available.Buyer must carry out their own calculations and assessment prior to making an offer. The site includes a 2-bay unused garage. The garage holds minimal equipment, however could be easily leased or redeveloped. The forecourt has a two-bay refuelling station with 3 x two hose electroline pumps. Jacob Reeson. The proposed service centre development site is situated on the Brisbane Valley Hwy to service the community and capture passing heavy and light vehicle traffic. With the DA approval in place is a BIG PLUS for someone looking to start a development project immediately, the hassle of the DA documentation has been removed leaving no barrier to hold you back. Put your money to work here and maximise your return. Price: $2,500,000. Service Station Specialist Broker: Jacob Reeson. 0432 906 946. Yes you read that right! This is the only service station in town, located on the only road in and out of a coastal township with several other smaller communities filtering back to this service station business for sale. With no competition this service station excels year after year. A new owner will benefit from the high fuel profit margins, consistent fuel sales and long lease term. If you are looking for a sea change, or just a highly profitable business, this site should not be missed. "When selling a business there is one word that matter more than any other; SOLD! And Jacob got to use it. Jacob is very pleasant to deal with, built great report with the enquires and ultimately the buyer. Jacob felicitated the sale of a business I had owned for 23 years, there was quite a bit to arrange to not only list it but to also get it SOLD. I highly recommend Jacob to assist in the sale of your business."